The opening title track off of the third Sleigh Bells album, Bitter Rivals, must have been carefully crafted to both introduce listeners to the record and build anticipation for what is to come. It doesn’t start with a bang—rather, the duo begins the album with a groovy guitar riff (with really great tones) and some minor backing percussion, including a quiet chorus of snapping and…barking dogs—but within a minute, the song comes crashing in to reveal the band’s signature electronic indie-pop sound. The driving rhythms, crunchy guitars and frantic synthesizers establish an entirely different, chaotic vibe (made more chaotic by Alexis Krauss’ layered and heavily affected vocals) that juxtaposes the much mellower opening. But when the first chorus comes in, the song once again shifts into a quiet—in fact, totally guitar-less—section built upon electronic drums and a soft, delicate vocal melody. Sleigh Bells exercise and play around with these quick, often unexpected, dynamic shifts in tempo and melody throughout Bitter Rivals. Of course, the group’s bread-and-butter is still in writing catchy, noisy guitar-based pop songs with a distinct electronic edge, and there’s plenty of that to go around on the album, but the duo is also adept at recognizing when to pepper in moments of contrasting instrumentation to freshen up the songs and reinvigorate the listener. For instance, on the aforementioned “Bitter Rivals,” the choruses—in which Krauss sings to her female rival in question (although really more to herself), “You are my bitter rival/But I need you for survival”—serve as an inner monologue of sorts, as she contemplates the meaning and purpose behind the rivalry in question. Meanwhile, in the song’s harder, faster verses, she lays out a blistering verbal assault full of angst and vitriol that leaves little time to breathe, let alone stop and think, between the lyrics. So here, this dynamic shift in the chorus actually serves as an opportunity to highlight the changing lyrical approach—and vice versa, I suppose. Anyway, like I said, these types of calculated sonic variations appear all over Bitter Rivals, and they’re really what help the album remain interesting throughout by offering some sort of respite from the band’s otherwise relentless attack of guitar and synth and rapid-fire (often distorted) vocals. In addition, these variations in arrangement serve to display the duo’s ever-growing range as songwriters, but it’s not always necessary to slow things down or drastically alter a song’s makeup to do that, because underneath all of those crunchy, distorted guitars and pulsing synthesizers and digital drums, Sleigh Bells is a pop band. And as a pop band, its songs ultimately depend on crafting memorable melodies that resonate with a listener, which for the most part, they’re able to accomplish on nearly every track on Bitter Rivals. For instance, there’s the candy-coated, infectious melody of the second track, the appropriately titled “Sugarcane,” or the dance pop-influenced “Young Legends,” a song that has the distinct quality of seemingly forcing a listener to move along to its rhythmic vocal parts. Fortunately, the band’s unique sound makes it easy for them to toy with and build upon conventional pop/rock music to create songs that are wholly their own. 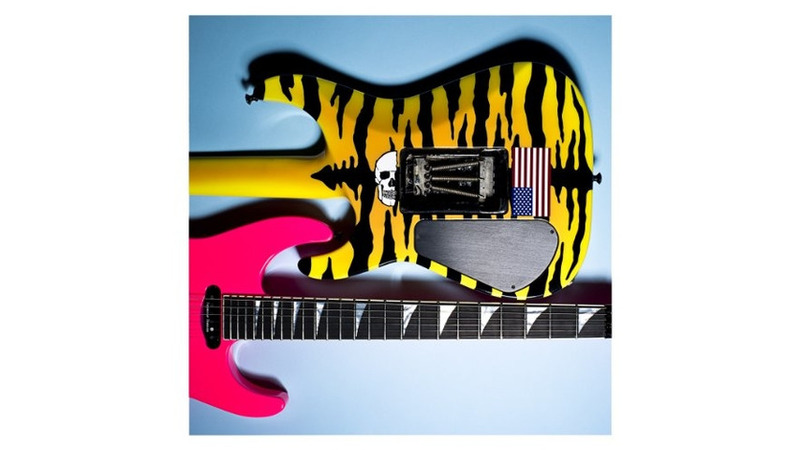 So, although the sixth track, “Tiger Kit” (arguably the album’s best song), begins with a lone guitar riff that sounds like it could be the introduction to any sort of generic “hard rock” song, it immediately expands into a thunderous, synth-laden, danceable pop song with a driving bass drum rhythm and, of course, killer melody, as well as plenty of character to spare. Mirroring the album’s very first song, Sleigh Bells conclude Bitter Rivals with a song that incorporates the band’s penchant for dynamic shifts in sound. “Love Sick,” is pretty much what it sounds like, Krauss’s tale of somewhat irrational, or at least out-of-character, behavior that results from falling in love. So, the song’s verses are made up of the sort of driving downbeat rhythms and melodic cadences that are at the root of the band’s sound, while Krauss lists off the myriad of ways in which she’s changed since contracting the love sickness. By the choruses, however, the song breaks into softer, gentler moments of clarity with acoustic guitars backed by loud digital drums and more ethereal synth sounds. These transitions, as well as the transition into the song’s (and album’s) quiet, dreamy ending, feel natural and seamless, but they also serve their intended purpose of moving the listener through the duo’s scattered thought process. These creative movements make Bitter Rivals an exciting and powerful record, because it reminds the listener that sometimes it’s okay to follow an idea into unexpected territory and shake things up.